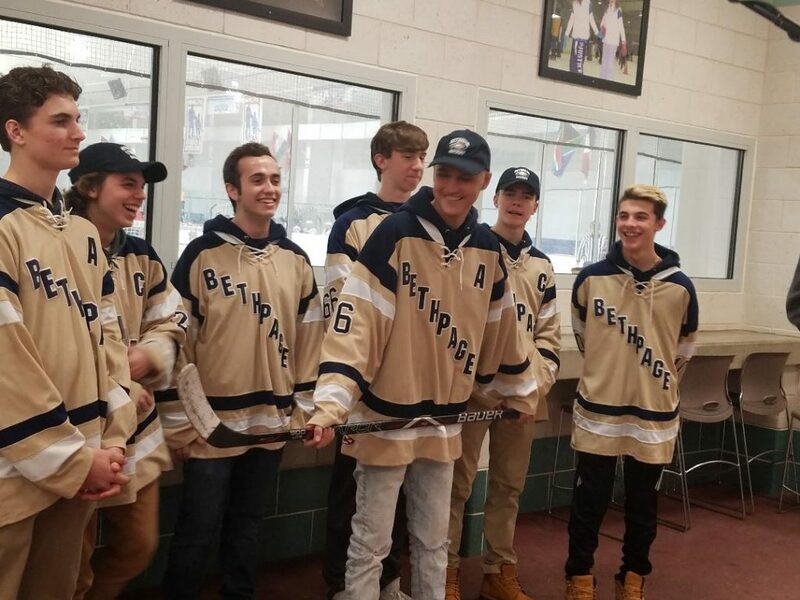 Bethpage High School Player Derek Zacchino was diagnosed with a form of brain cancer this past summer. His Bethpage High School teammates organized a benefit for Cohen's Children's Hospital and have raised over $16,000 from the sale of T-Shirts honoring the event. At the league game on Wednesday, December 19th at 7:30pm there will many opportunities to participate in the cause including many great raffles from great donors such as the NHL, New York Islanders and New York Rangers and many others.